Found in Raritan Twsp, Hunterdon County, New Jersey on Nov 2, 2018. It was suspended from an overhanging Red Maple tree whose leaves had turned - fall foliage colors Yellow & Reds/Oranges. It was approximately dangling from approx. 10 feet above. Anyone able to let me know the specifics? If so, please e-mail me. 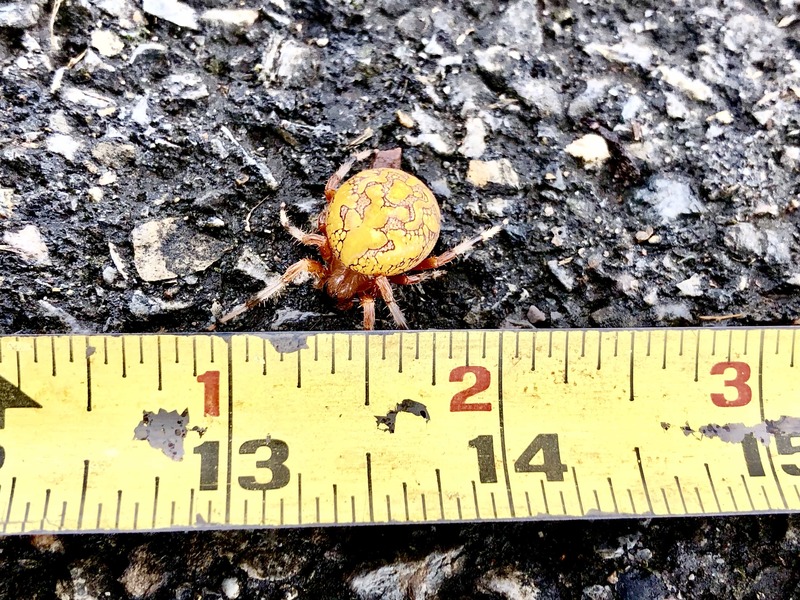 This is a marbled orb weaver.